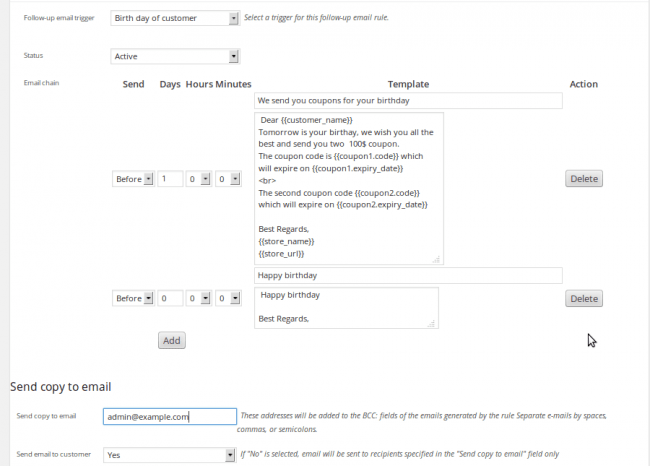 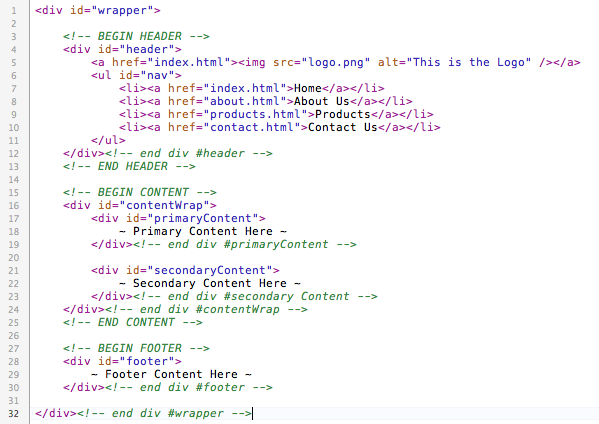 Send email to customers based on a list of 18 preset rules. 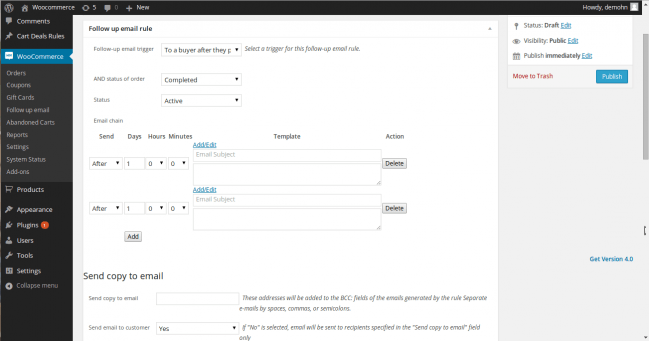 Set up once and everything runs on autopilot. 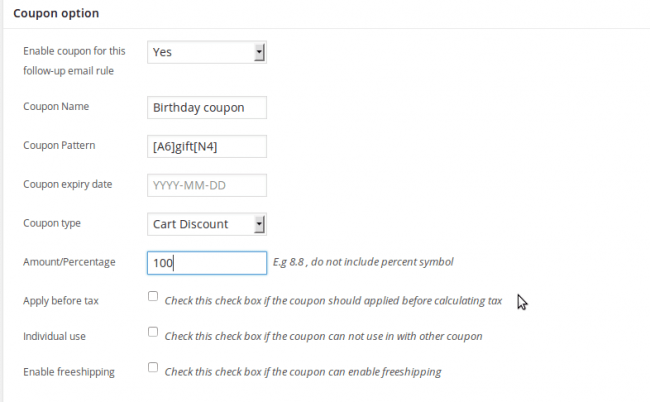 Choose from a list of smart toolkits to help recover abandoned carts, send personalized coupons and react based on customer's action. 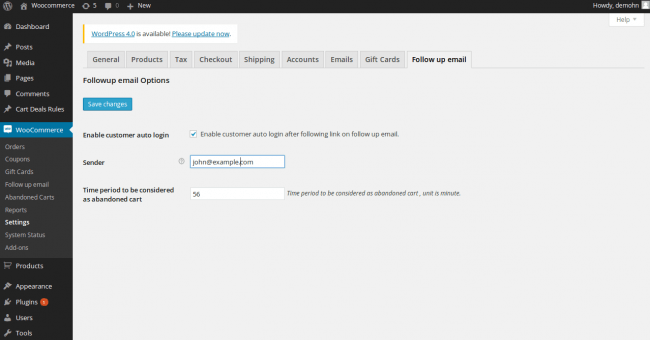 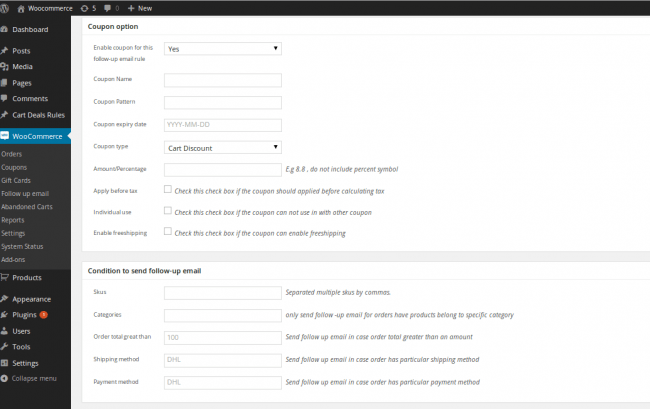 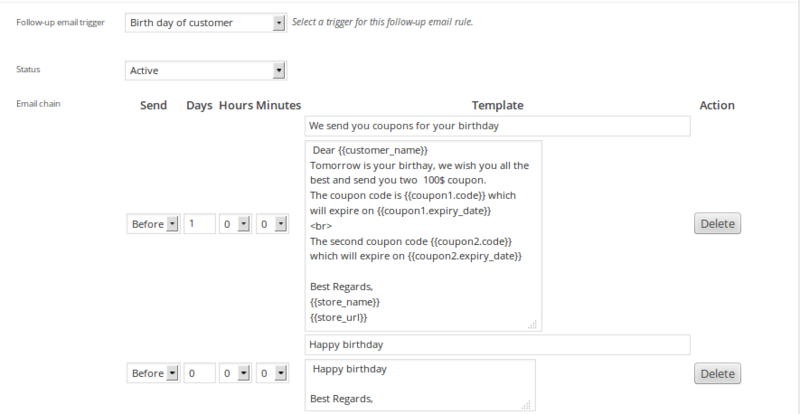 Woocommerce Follow Up Email uses various variables, email rules and email templates to personalize emails sent to customers.